Please skip your pup’s meal before class. Bring it with you along with some soft yummy treats and a six foot leash. NO choke, pinch, electronic collars or retractable leashes. 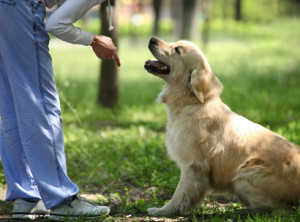 Basic Manners is designed to teach essential commands that every dog should know and is designed for dogs with little to no formal training experience. What to bring: collar, 6 foot leash, treats. Works on all 10 CGC test items. Basic obedience also includes the “Canine Good Citizen” certification. What to bring: collar, 6 foot leash and treats. Your dog will learn the concept of nosework through the use of their favorite toy or treat hidden inside boxes to search, locate and identify the toy or treat. The handler will learn the most effective method of motivation for their dog in the form of reinforcing their behavior at the location source. Make sure to have a variety of soft, smelly treats and back-up toys with you at each class. Rally-Free is a unique dog sport from the Rally Free Elements organization, combining trick behaviors of Canine Musical Freestyle with the format of Rally-Obedience. It emphasizes the precise execution of fundamental freestyle and obedience skills while encouraging creative and novel behaviors on a Rally-Obedience style course. Rally FrEe offers both video and live competitions at various levels and titles. It is a great way to learn beginning and advanced Freestyle Moves. In this class you will begin to learn the basic moves and work a Novice Rally Free course. Your dog needs to know basic obedience such as heel, sit, down, stay and impulse control. 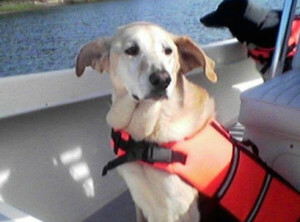 Dog will be worked on a buckle collar or a harness (no choke chain or prong collars). We will be using clicker training with food or toy rewards.